This chapter first appeared in Advocacy for Impact courtesy of The Atlantic Philanthropies. In July 2016, more than 18,000 scientists, policymakers, world leaders, and people living with HIV met in Durban, South Africa, for the 21st International AIDS Conference. As host, South Africa had reason to be encouraged—despite very high numbers of people living with HIV, the country is recognized as the worldwide leader in providing treatment for people with HIV and AIDS. By 2016, South Africa was providing treatment to more than three million people, more than any other country, and while nearly one in nine South Africans is living with HIV/AIDS, people are living longer and staying healthier than at any time since the disease reached pandemic levels in South Africa in the early 1990s. Lack of access to public treatment and the high cost of private treatment once made an HIV diagnosis the equivalent of a death sentence for all but the wealthiest South Africans. To make matters worse, Mbeki established a Presidential Advisory Panel in 2000 regarding HIV/AIDS that included international scientists who denied that HIV caused AIDS. His Minister of Health, Dr. Manto TshabalalaMsimang, actively promoted the use of scientifically unproven remedies and concoctions and suggested that sick people would get better if they improved their nutrition, recommending a course of beetroot, potatoes, lemon juice, garlic, and olive oil. Dr. Tshabalala-Msimang would come to be known by the nickname “Doctor Beetroot.” Later, she exacerbated the problem by championing the dangerous approach of German vitamin salesman Mathias Rath, who recommended that HIV patients quit antiretroviral drugs, which had been proven to be highly effective, in favor of his homeopathic remedies, which had not. The result of the South African government’s failure to use science to make decisions about public health treatments was tragic. By 2002, four million people had contracted HIV, but not a single person was treated for the disease through the public health system. The result of the South African government’s failure to use science to make decisions about public health treatments was tragic. By 2002, four million people had contracted HIV, but not a single person was treated for the disease through the public health system. The Atlantic Philanthropies had been making investments in South Africa in a variety of areas beginning in 1991. Its Reconciliation & Human Rights Program focused on advancing social justice, civil society activism, and higher education as the nation sought to emerge from its apartheid legacy into a new pluralistic democracy. After Atlantic determined in 2002 that it would be a limited-life institution, it concentrated its work in the country in areas in which it felt it could have maximum effect given the shortened time frame. The decision to tackle the HIV treatment crisis quickly rose to the top as one of the issues that merited the foundation’s support. 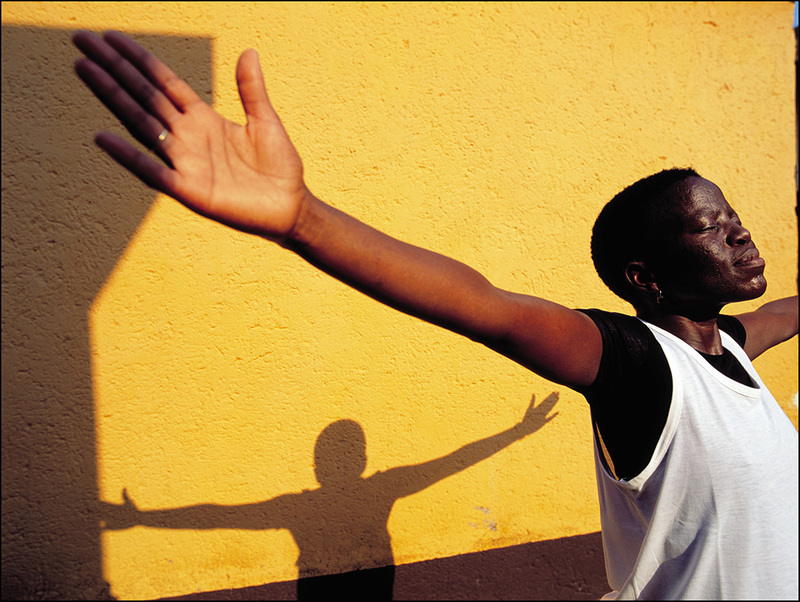 At the time, people with HIV and AIDS in South Africa were not getting the treatment they needed. Moreover, many people were being discriminated against based on their HIV status. Given the complete lack of access to treatment within the public health system and the high cost of private treatment, an HIV diagnosis was the equivalent of a death sentence for all but the wealthiest South Africans. To confront the HIV crisis, Atlantic decided to focus on building the voice of the disadvantaged and vulnerable to push the health system to deliver proper services. It also worked to strengthen the legal system and use the law to help the most marginalized communities gain rights and protections they had been promised in the newly ratified constitution in 1997. Some of this work was an extension of what Gerald Kraak, Atlantic’s program executive for Reconciliation & Human Rights, had been overseeing for several years. Zola Madikizela joined Atlantic’s Johannesburg office in 2002 as the foundation’s Population Health program executive to help manage the health-related aspects of its new HIV grantmaking. To confront the HIV crisis, Atlantic decided to focus on building the voice of the disadvantaged and vulnerable to push the health system to deliver proper services. As the foundation looked for the organizations best equipped to anchor Atlantic’s strategy, one that stood out was the Treatment Action Campaign, known popularly as TAC. TAC was launched in late 1998 by a group of activists, including anti-apartheid veterans Zachie Achmat and Mark Heywood, and assisted by Edwin Cameron, an openly gay, HIV-positive judge who would eventually ascend to the South African Constitutional Court. These leaders were frustrated by the government’s lack of progress in acknowledging the devastating scourge of the HIV epidemic and its refusal to seek scientific solutions to the problem. Their agenda was to ensure that anyone in South Africa living with HIV could receive safe and effective treatment, particularly antiretroviral drugs, which were relatively affordable, readily available, and widely used in many other countries. Because the South African government had granted generous patents to international pharmaceutical companies that eliminated competition, antiretroviral drugs were extremely expensive in South Africa and well out of reach for most of the country’s citizens who were struggling with the disease. TAC made its presence felt through a series of highly visible moves that garnered significant public attention and which enabled the organization to attract many more activists to join the cause. TAC’s campaign was launched with a number of notable events that showed the organization’s talent at highlighting its issues in compelling ways. In one of its first public actions in 1999, several hundred activists, including doctors, church leaders, traditional healers, and people with HIV, carried out a public fast, lying on the ground outside Chris Hani Baragwanath Hospital in Johannesburg to demand that pregnant women be given either the drugs AZT or Nevirapine to prevent transmitting HIV to their babies during childbirth. The event attracted attention across the country. Atlantic’s general operating support enabled TAC to bolster its activities, which included organizing in regions across the country using social media and traditional media. It was this kind of understanding of how to capture the public’s imagination that led Atlantic to choose TAC as the anchor organization for a campaign to compel the South African government to provide life-saving treatments for people with HIV/AIDs. Atlantic made grants totaling approximately $7.6 million to TAC and the campaign’s primary source of legal counsel, the AIDS Law Project at the University of Witwatersrand. That funding underwrote both advocacy efforts and relentless legal work. Atlantic’s general operating support enabled TAC to bolster its activities, which included organizing in regions across the country using social media and traditional media, and undertaking a wide range of community outreach programs to communicate its message. TAC also carried out mass protests, hunger strikes, and sit-ins. In addition, it organized acts of civil disobedience— often at great personal risk—and prominent leaders even refused to take their own HIV treatment until such treatments were readily available through the public health service. TAC worked with news organizations, coordinated with a legal team to repeatedly litigate important issues with the South African government, and collaborated closely with scientists and academics to build an evidence base to refute claims made by HIV denialists and to find better ways to treat people with HIV. They would later work with rural health workers to ensure that there were sufficient medicines and medical professionals to administer those medicines outside the city centers. Given the tremendous amount of disinformation about HIV that was being spread by a few very senior and influential officials in Thabo Mbeki’s government, there was a particular need for peer-reviewed scientific evidence that TAC could use to advance its arguments. The Southern African HIV Clinicians Society was a promising but fledgling organization when Atlantic began providing funding to strengthen it in 2006. Soon they established themselves as an elite advocacy group of academics and intellectuals, regularly presenting at international conferences, and publishing essential scientific evidence that focused on the science of HIV and AIDS locally and internationally. They soon became a “voice of reason” on the science of HIV/AIDS in South Africa. The high cost of drugs was a significant obstacle to a national program to provide treatment for the millions of South Africans struggling with HIV. Another organization that was not a grantee of Atlantic, Médecins Sans Frontières (MSF), was nevertheless a valuable ally and an important part of the larger strategy to ensure that the government would take up the cause of effective HIV treatment. The group, known in English as Doctors Without Borders, would often intervene in areas and instances where the South African government would not or could not act. MSF would provide essential medical care, often showing the effectiveness of antiretroviral treatments, or simply just provide services that poor communities would otherwise not receive. These interventions provided replicable models that demonstrated what could be done and were used by lobbying groups to put pressure on the government to act. By turning to the constitution, the campaign was not only on firm legal footing, but it also could tap into a shared national value of promoting human rights. At the center of TAC’s efforts was a highly sophisticated and robust advocacy strategy. The goal was to pressure the South African government to offer universal access as the means to prevent people from contracting HIV, to provide effective treatment for people living with HIV, and to ensure that pharmaceutical companies would make life-saving medicines available to the government at a reasonable cost. TAC and its partners looked to Section 27 of the Bill of Rights in the Constitution of South Africa, which states, “The state must take reasonable legislative and other measures, within its available resources, to achieve the progressive realization of…the rights to access to health care services, sufficient food and water, and social security.” The constitution is a great source of pride for South Africans, and it has been hailed as a model of modern democracy. Indeed, United States Supreme Court Justice Ruth Bader Ginsburg remarked in a 2012 interview, “If I were drafting a constitution…I might look at the constitution of South Africa. That was a deliberate attempt to have a fundamental instrument of government that embraced basic human rights.” TAC felt that by turning to the constitution, it was not only on firm legal footing, but it also could tap into a shared national value of promoting human rights in a new democracy. One challenge that TAC faced, however, was the intense stigma that HIVpositive status carried with it. It was important to communicate that people with HIV had a right to treatment and that people should not fear getting tested out of a concern that they would face discrimination in the event that results showed the presence of HIV antibodies. In one prominent case, a volunteer field worker for the National Association of People Living with HIV/ AIDS named Gugu Dlamini was beaten and stoned to death after revealing on World AIDS Day in 1998 that she was HIV positive. In response, TAC created t-shirts reading “HIV POSITIVE” in large letters across the chest. Over time, activists, family members, and other supporters of TAC’s work would wear the shirt as a public display of support. This would include Nelson Mandela, who put the shirt on in a 2002 meeting with TAC, adding incalculable legitimacy to the cause. His own son, Makgato, died of HIV/ AIDS in 2005, and Mandela publicly disclosed the cause of his death. TAC members worked closely with government officials to advance their goals, and also had activists across the country at their disposal. Removing the stigma of HIV status also gave people confidence to advocate for their own care. Another important part of this approach required that people better understand the science of HIV so they could learn how to keep themselves healthy as well as communicate their needs to local health officials. TAC published a newspaper called Equal Treatment, which was designed to simplify medical vocabulary into terms that would be easily understandable by all South Africans. Between 2005 and 2014, TAC produced 32 issues of Equal Treatment, publishing almost 800 articles on topics that included treatment, prevention, and HIV advocacy. By 2016, Equal Treatment had evolved into a publication called Spotlight, a joint venture between TAC and Section 27. Between 2005 and 2014, TAC produced 32 issues of Equal Treatment, publishing almost 800 articles on topics that included treatment, prevention, and HIV advocacy. The aim was to help people better understand the science of HIV. As one of its first major advocacy efforts, TAC focused in 2001 on forcing the government to provide antiretroviral drugs to pregnant HIV-positive women to prevent the child from contracting HIV at birth. It focused on the effect of HIV on babies and sought to guarantee that newborns wouldn’t contract HIV. This strategy was an acknowledgment of the stigma that HIVpositive status still carried. The approach had succeeded in the United States, where HIV activists began by focusing on children like Ryan White—a boy from Indiana who contracted AIDS through a blood transfusion. Similarly, TAC argued that it would be absurd not to prevent newborn babies from contracting HIV. Nevertheless, the government argued that the medicine was too expensive, and the campaign responded by accusing the drug company that manufactured it of price gouging. Working with the Aids Law Project, TAC sued the government to compel them to provide treatment, and engaged in a series of actions and protests to take their case to the public. Young men and women with HIV began to get involved, and TAC began to lead a movement of poor black people who were living with HIV—a group that had not previously had the opportunity to express its rights. The work received considerable attention in the media, which put the treatment crisis in stark human terms. TAC’s work received considerable attention in the media, which put the treatment crisis in stark human terms. This led to TAC’s first important victory in 2002, just as Atlantic had begun funding its work, when the High Court determined that the government had to provide treatment for pregnant women with HIV to prevent the mother from transmitting the disease to her child. This was the beginning of a series of wins to ensure the right of all South Africans to proper health care. The high cost of drugs was a significant obstacle to a national program to provide treatment for the millions of South Africans struggling with HIV. This put life-saving treatment out of reach for the vast number of citizens. It also made the drugs prohibitively expensive for the government, which couldn’t afford to make the medicines part of a national treatment program. In 2004, TAC launched a legal challenge against drug manufacturers through the government’s Competition Commission, an anti-trust body designed to achieve equity and efficiency in the South African economy. The legal challenge was accompanied by a series of demonstrations, events, and media stories highlighting the excessive pricing practices of international pharmaceutical companies. Rather than anger the commission, drug manufacturers agreed to issue generic licenses for a variety of medications. Such legal challenges would continue throughout the decade, leading to a series of concessions by pharmaceutical companies. Political issues were turned into moral issues, through campaigns that captured the public’s imagination and put a human face on those most affected by the national health crisis. At the same time, after relentless lobbying by TAC and its partners, the government finally committed to creating a comprehensive treatment plan for people with HIV. By 2004, the government had administered its first round of antiretroviral treatments through its public health system, but the rollout was far too slow, and TAC began lobbying for a nationwide strategic plan. This plan would focus on the complete range of treatment designed to arrest the HIV/AIDS epidemic, including education, prevention, and treatment of people with HIV. This in turn required a strategy for procuring medicine, supply chain management, and a plan to train doctors and other medical professionals. By 2007, the plan had been completed, with substantial input of TAC experts. Once the strategy was approved, TAC kept up the pressure to ensure that the government took the necessary steps to implement it. South Africa has a rich tradition of protest and civil disobedience that dates back to the apartheid era, and TAC made particularly good use of the approach. TAC was sophisticated in using media to communicate with its various audiences—including its own members—about the goals of its actions as well as its plan to achieve those goals. TAC used Health-e News to communicate about the science of HIV to people living with HIV and to refute the claims of quacks, who were either interested in peddling one bogus remedy or another or who were otherwise doing the bidding of government deniers. It used the texting tool Whatsapp to communicate with its members and to help people report when clinics were not properly supplied with medicine, it used Twitter to communicate with journalists, and it relied on Facebook to take its message to the broader public. When TAC began its work in 1998 (four years before its initial funding from Atlantic), it was facing a severe political headwind—it had to overcome the toxic rhetoric of the highest officials in the South African government, who simply denied that HIV causes AIDS. There was a lack of sufficient scientific evidence to counter the claims of AIDS denialists, who were able to create confusion about what the proper treatment should be. In cases like this, activists simply didn’t have the overwhelming scientific evidence they needed to overcome the doubt that their opponents had sown. When TAC began its work in 1998, it had to overcome the toxic rhetoric of the highest officials in the South African government, who simply denied that HIV causes AIDS. Given the basic understanding of the disease that existed even in the late 1990s, the government’s false claims about HIV were seen as ludicrous. There were other rational medical obstacles to overcome, however. Mbeki and his supporters frequently complained that antiretroviral drugs were highly toxic and dangerous. For many HIV patients, especially those who were in the late stages of AIDS, the drugs actually were dangerous. HIV treatment works best when the patient is still relatively healthy, but often patients couldn’t obtain antiretroviral drugs until after the disease had progressed, and they inevitably died. This reinforced the views of denialists. The government also used the existing skepticism of the West, where the drugs were manufactured, to sow doubt about the motivations of outsiders who claimed to offer better treatments than traditional healers. They even suggested that the West was trying to poison South Africans. After generations behind what might be called an iron curtain of isolation, South Africans didn’t know who or what to believe. Mbeki did make an important point in his defense of the government’s position, however. He observed that the government was simply unable to provide an effective treatment regimen, given a fragile public health system and staff shortages. The HIV pandemic was ravaging the poorest and most vulnerable communities. At the time, patients needed to take a drug cocktail that consisted of 10–15 medications each day—all of which should be administered to a patient who had eaten properly. Who would distribute the medication and monitor treatment? What other illnesses would be neglected if the country focused on HIV? Mbeki suggested that the combination of South Africa’s poverty and the challenge of trying to sustain a full program to provide antiretrovirals and treat millions of patients would collapse the fragile public health system. While the obstacles were formidable, TAC felt that there was no excuse not to begin to build the system necessary to try to save the lives of millions of people struggling with HIV. While these were formidable obstacles, TAC felt that there was nevertheless no excuse not to begin to build the system necessary to try to save the lives of millions of people struggling with HIV. TAC’s goal was to compel the government to create a national action plan and then administer that plan regardless of the cost or complexity. TAC had another set of challenges that were organizational, not medical, and that are common to a vast number of nonprofit institutions. TAC’s leaders came to the work as activists, not as nonprofit professionals, and they had to learn as they went—particularly when it came to fundraising. Many of TAC’s funders recognized this and provided funds to address so-called capacity needs, like financial planning, fundraising, and organizational development, among others. However, a number of international donors had different ideas about the kind of organization TAC should be, steering them toward providing health care services—an area in which TAC had insufficient experience— which derailed its advocacy efforts. Funders can also make it difficult for their grantees to succeed by requiring their own customized monitoring systems and proposals that are more complicated than they need to be. As Barbara Klugman observes, “What they actually needed was to sit with the funders and discuss whether they should take all this money.” While TAC eventually realized that it needed to return to its core strengths, it wasted time and effort trying to figure this out. TAC’s leaders came to the work as activists, not as nonprofit professionals, and they had to learn as they went—particularly when it came to fundraising. Consistent funding was a challenge. Finally, consistent funding was a challenge. While there were many international donors funding HIV/AIDS issues in South Africa during the period that Atlantic was supporting TAC and its partners, the funders would have benefited from better coordination. The funders included: The Ford Foundation, The Open Society Institute, Bread for the World, the British Department for International Development, the German government, and the Global Fund to Fight AIDS, Tuberculosis, and Malaria, among others. TAC would have donor meetings several times a year, but there was no systematic collaboration among the funders. Perhaps because of this, some funders were more directive than others, and TAC could not rely on consistent funding levels over time. TAC and its allies achieved a series of stunning victories since they began advocating on behalf of South Africans in the late 1990s. While the sheer volume of victories is too great to list here, there are a number that bear noting. The Treatment Action Campaign’s activism helped push the government to dramatically increase public spending on HIV/AIDS: Expenditures on treatment and prevention skyrocketed from $168 million in 2003 to nearly $2.3 billion in 2014. TAC and its allies were also successful in pressuring pharmaceutical companies to slash the price of antiretroviral medications from $10,439 per person annually in 2000 to $182 annually by May 2005, and forced the government to provide those drugs to people who could not afford to pay for them. The effect of these changes has been dramatic. The transmission of HIV from infected mothers to their children dropped from 30 percent in 2006 to 1.5 percent in 2016. In the summer of 2016, South Africa’s Minister of Health, Aaron Motsoaledi, committed the government to completely eliminating HIV in all people under 20 years old by 2030. By 2016, more than three million South Africans were receiving antiretroviral treatment, which UNAIDS estimates saves 300,000 lives each year. Moreover, the number of deaths from HIV/AIDS fell by more than half from 2007 to 2015. Finally, Atlantic grantees have succeeded in helping to change the way South Africans think about HIV/AIDS, the people who have it, and how to treat it. Where government officials once recommended lemon juice and garlic as a treatment, now the government spends billions of dollars a year to use the best science possible to attempt to stem the epidemic. Taking on the problem of the HIV/AIDS epidemic may be considered one of the great public health challenges of the past two decades. While there is a long way to go before anyone would declare victory, it is clear that TAC and its partners have accomplished a great deal, and many hundreds of thousands of lives have been saved as a result of their efforts. Here are just a few lessons that Atlantic has taken away from this work. Funding from Atlantic helped TAC, Section 27, and the Southern African HIV Clinicians Society to lobby the South African government for specific pieces of legislation. The foundation’s support also funded those groups to help write legislation, and even helped to write the national strategic plan on HIV/AIDS treatment. As Zola Madikizela, who was the program executive in charge of Atlantic’s public health program in South Africa, notes, the AIDS epidemic was highly unpredictable, and any strategy would have to be quite adaptable. For example, when TAC began advocating for the government to provide treatment for pregnant mothers with HIV, they had no intention to take the government to court, but it was soon clear that this was a wise approach. Atlantic had provided institutional support to TAC, which could quickly adapt its work to the new strategy. But Atlantic was also flexible enough in its thinking to realize that TAC needed to be able to take advantage of opportunities as they arose. Some leaders in the movement were attacked, beaten, or even killed. Others found themselves subject to government investigations. The tragedy of HIV and AIDS in South Africa is all the more devastating because it represents as much a failure of leadership as a failure of science. While there is no cure yet for HIV, or an effective vaccine to prevent it, people are now living productive lives for decades with the virus, and every day brings with it a realistic hope that the solution to the problem is within our reach. For many years in South Africa, however, that hope seemed an impossibility. While other countries were providing comprehensive care for their people, South Africans were denied. The work of the Treatment Action Campaign and its partners helped turn that around. This work centered on the need to reduce the stigma of HIV across the country and put pressure on the government to provide effective treatment for everyone who needed it. The approach was comprehensive—the movement relied on strong leaders, tireless lawyers, passionate activists, smart scientists, dedicated health professionals, and brilliant communicators. These extraordinary people were able to change how South Africa’s citizens and its government felt about this disease in ways that few other campaigns can claim. The greatest challenge now is ensuring universal coverage in an effective and efficient health system that provides equal and equitable health care to all citizens. South Africa can now be justly proud of its efforts to tackle the tragedy of HIV and AIDS, but it is clear that there is much more work to be done. The socio-economic rights enshrined in the South African constitution would remain just words on paper were it not for active advocacy by social movements like TAC, which turned them into life-saving policies and programs. Thanks to social change activists like the Treatment Action Campaign, they can be justified in their hope for a better future.